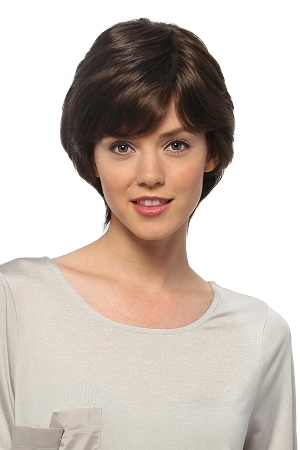 The Sabrina Human Hair wig by Estetica is a basic layered Shag cut with semi-tapered nape & bangs. The Sabrina features an invisible lace front line and a 100% hand-tied monofilament cap for the most natural parts. Hair Dynasty is a collection of the finest remy human hair wigs. From mono top to front lace line to 100% hand-made, the quality, design and craftsmanship are the finest available. The result is soft, silky and manageable hair with the most natural look and comfortable fit imaginable.